State Senator Mark Montigny says he is open to options for controlling prescription drug costs. The lead sponsor of a controversial Massachusetts bill that would impose price caps on some prescription drugs says backers are considering alternative steps to control costs, a move that comes as opposition to the measure mounts. The legislation would force biopharma companies to justify their prices by disclosing how much they spend on research, manufacturing, and marketing. 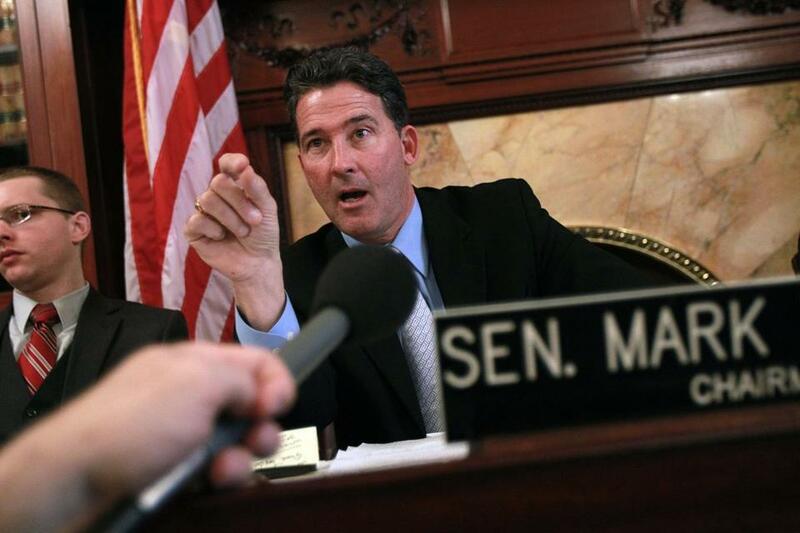 While the current version of the bill would let a state agency limit the price of especially costly drugs — something not done anywhere in the country — proponents also are weighing other ways “to prevent price gouging,” state Senator Mark C. Montigny said. But opponents are mobilizing against the legislation ahead of a hearing Monday before a key legislative committee. A new paper from the Pioneer Institute, a free market-oriented think tank, says the bill would discourage companies from doing business in Massachusetts. And the biopharma industry, which employs at least 65,000 people in the state, has been stepping up its lobbying against the measure. In one-on-one meetings with lawmakers, at public forums, and in gatherings of a “biotech caucus” of legislators and their staff members, industry groups and executives at Massachusetts drug makers have been arguing that compliance with the transparency provisions would be costly for the industry and address only one facet of medical expenses. “When you look at the fact that we’re the center of the world’s biotech industry, this legislation really could destroy the environment we have for small companies to succeed and thrive,” said Robert Coughlin, president of the Massachusetts Biotechnology Council. State Representative Jeffrey Sanchez, a Jamaica Plain Democrat who chairs the Joint Committee on Health Care Financing, said he has not taken a position on it but will have questions for the bill’s sponsors. “These aren’t easy issues,” he said. Jim Stergios, executive director of the Boston-based Pioneer Institute, said Pioneer supports making drug prices publicly available. But drug companies should not be forced to give up proprietary information in the name of transparency, he said. Companies that don’t want to comply with Massachusetts’ stringent rules might decide not to sell their drugs here, especially if the drugs are for small, specialized groups of patients, he warned. “If you don’t think this will have a chilling effect on the industry in Massachusetts or on the availability of products here in Mass., you’re missing something,” Stergios said. The bill would also impose “unnecessary” costs on drug companies, he added. Prescription drug costs are the fastest-growing component of health care spending, rising 13 percent statewide in 2014, the most recent year for which state data are available. That follows growth of less than 1 percent a year for the previous three years, according to the Health Policy Commission. Among the most expensive new medicines are hepatitis C drugs that cure the virus in most patients but have crippled the finances of Medicaid insurers. David Seltz, executive director of the Health Policy Commission, a state agency that monitors health spending and would be charged with setting price limits under Montigny’s bill, said his agency has not endorsed specific legislation. But it supports greater transparency around drug prices. For the first time this fall, it plans to invite drug makers to testify at its annual hearing about health care costs. Valerie Spain, a freelance writer from Cambridge, is one of a number of consumers who plan to testify at Monday’s hearing. Spain, who suffers from diabetes, recalled when she was between jobs several years ago and almost lost her insurance. “Without that coverage, I would have had to ration my drugs,” she said, contending consumers have a right to know what goes into drug prices. Health Care for All, a Boston-based consumer advocacy group, is also supporting the legislation. “There’s a very strong public interest in understanding the input costs that lead to the pricing decisions for prescription drugs,” said Brian Rosman, the group’s research director. But the bill is being opposed by the Pharmaceutical Research and Manufacturers of America, which fears its passage in Massachusetts could advance similar bills proposed in other states.